The Craftsman-style home has a very specific identity. Taking inspiration from the Arts & Crafts movement and nature, these homes are built with a cozy functionality that made them popular in the early 20th Century. Fast forward one-hundred years and you’ll find that the refined yet somewhat rustic design of these homes has retained its appeal. The Craftsman and Arts & Crafts philosophies mirror those of ours at Southern Serenity: with an emphasis on workmanship, we can build quality, affordable and beautiful homes. Our Fairway Hills Community of Craftsman homes proves this by building on the aesthetics of the original movement while incorporating the necessities our modern world demands. When you select from among our three stylish floor plans – The Chestnut, The Dogwood and The Faulkner – you can be certain that the features standard to all our homes have been selected with care to ensure longevity and value. All homes in the Fairway Hills Community feature beautiful hardwood flooring which extends from the entry into the dining area, the great room and hallway. Elsewhere, you’ll find high-quality, stain-resistant and anti-static carpeting covered by a 20-year warranty and guaranteed against manufacture defects. Tiled floors in the kitchen and breakfast area mirror the tile utilized on the fireplace front in the great room. The staircase, with wood treads, features a custom woodcrafted hand rail. Each home boasts smooth ceilings upstairs and down and a luxurious trim package, as well as traditional square-edge sheetrock corners which are in keeping with the Craftsman aesthetic. Ceiling fans with light kits can be found throughout, and custom lighting packages are available. In the kitchen, granite counters are featured in the bumped and staggered custom self-close cabinets and complemented by a decorative backsplash. The granite counter tops and custom cabinets continue into all baths, with tiled floors and tiled shower surrounds standard. The half-bath downstairs is finished with furniture-style cabinets, and all hardware comes in a choice of oil rubbed bronze or brushed nickel finish. While vintage in feel, we’ve kept technology in mind. Our homes are wired with Cat 5 phone lines in the kitchen, great room, bedrooms and, of course, the game room with cable connections in all bedrooms, the great room and the game room. Every home comes with an appliance package that includes: a Maytag Stainless Steel gas double range, dishwasher and microwave/Vent-A-Hood and 1/2 horsepower disposal; a ventless gas water heater and gas furnace; a Carrier High Efficiency 14 seer HVAC unit and programmable thermostats; and a 1/2 horsepower garage door with two remotes and an external key pad. Safety features run from a fully operational security system with two keypads (coverage on all operable windows and doors downstairs) to deadbolt locks on all entry doors to the exterior vented fireplace. All Southern Serenity homes boast a 10-year structural warranty. Each one is constructed with a floored attic on 16-inch centers, resulting in a more structurally sound building. We use TechShield Radiant Barrier roof decking, which ensures that the attic space temperature is never more than a difference of 8-10 degrees from the rest of the home, thus lowering cooling costs. We use 30-year architectural shingles on the roof, which will also have rain gutters, downspouts and splash blocks. From front-yard landscaping, front and rear flood lights and a rear patio, from screens on all operable windows to the wrought iron mailbox, you can rest assured we have made carefully considered decisions regarding the standard features in the homes on which we put our name. Walk into any of our model homes and know that what you see there is what you’ll get in yours. Upgrades are available, of course, and guided by the builder new homeowners con be confident that they are getting the maximum value for their investment. Echoing the architecture common to the French countryside, our homes in The Fields of Hidden Springs are stately yet welcoming, marrying rustic and refined elements to re-create an Old World charm in a modern setting. Simple lines and natural materials are the hallmarks of a French Country home, which has proven to hold an enduring appeal. When you select from among our six elegant floor plans – The Azalea, The Camelia, The Cedar, The Charleston, The Chestnut and The Dixon – you can be certain that the features standard to all our homes have been selected with care to ensure longevity and value. All homes in The Fields of Hidden Springs are floored with beautiful hardwood which extends from the entry into the dining area, the great room and hallway. Elsewhere, you’ll find high-quality, stain-resistant and anti-static carpeting covered by a 20-year warranty and guaranteed against manufacture defects. Tiled floors in the kitchen and breakfast area mirror the tile utilized on the fireplace front in the great room. The staircase, with wood treads, features a wrought iron hand rail. Each home boasts smooth ceilings upstairs and down and a luxurious trim package, as well as rounded (or bull-nose) corners on sheetrock to give a soft, finished feel to the walls. Ceiling fans with light kits can be found throughout, and custom lighting packages are available. In the kitchen, granite counters are featured in the bumped and staggered custom self-close cabinets and complemented by a decorative backsplash. 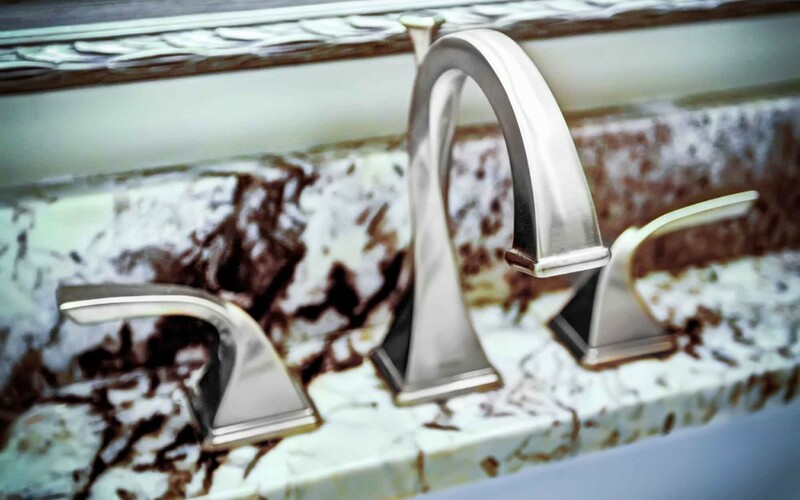 Cultured marble counter tops are an elegant finish for the custom cabinets in all baths, with tiled floors and tiled shower surrounds standard. All hardware comes in a choice of oil rubbed bronze or brushed nickel finish. While timeless and sophisticated in design, modern demands for tecnhology are met. Our homes are wired for with Cat 5 phone lines in the kitchen, great room, bedrooms and, of course, the game room with cable connections in all bedrooms, the great room and the game room. Every home comes with an appliance package that includes: a stainless steel gas range, dishwasher and microwave and 1/2 horsepower disposal; a gas water heater (2, where applicable) and gas furnace; a Carrier High Efficiency 14 seer HVAC unit and programmable thermostats; and a 1/2 horsepower garage door with two remotes and an external key pad. Safety features include a fully operational security system with two keypads, deadbolt locks on all entry doors, front and rear flood lights, a wrought iron photocell post light in the front yard and 42-inch ventless fireplace. 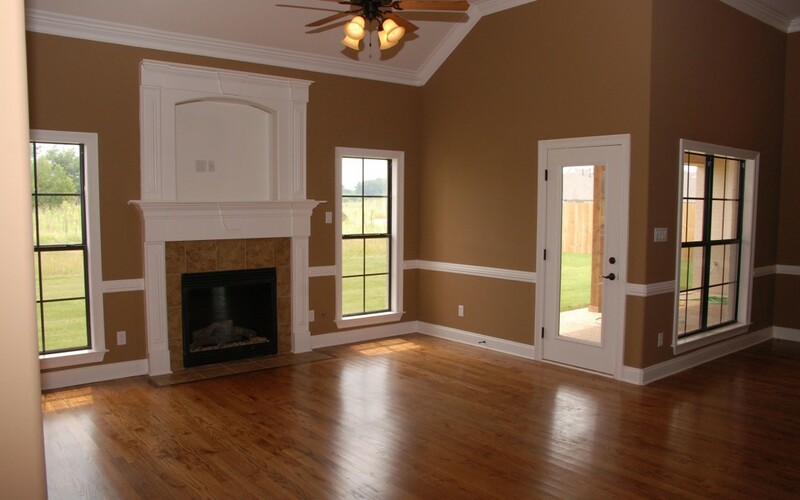 All Southern Serenity homes boast a 10-year structural warranty. Each one is constructed with a floored attic on 16-inch centers, resulting in a more structurally sound building. We use TechShield Radiant Barrier roof decking, which ensures that the attic space temperature is never more than a difference of 8-10 degrees from the rest of the home, thus lowering cooling costs. We use 30-year architectural shingles on the roof, which will also have rain gutters, downspouts and splash blocks. 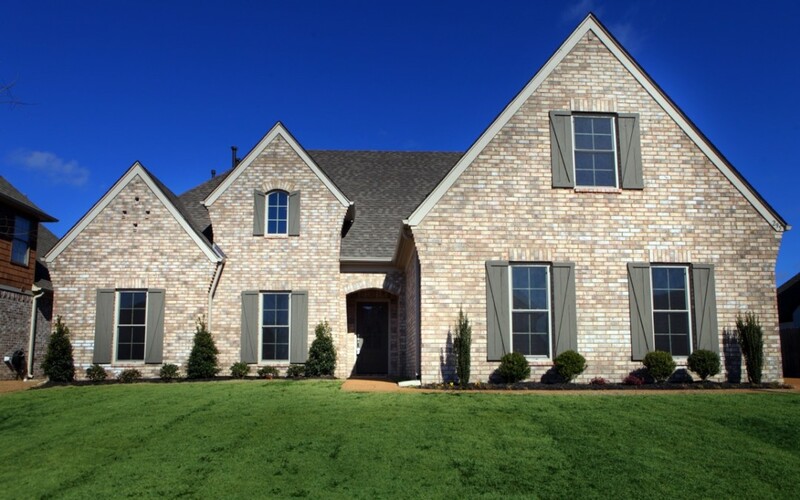 From the fully sodded yard with Bermuda grass, front-yard landscaping package and rear patio to screens on all operable windows and a wrought iron mailbox, you can rest assured we have made carefully considered decisions regarding the standard features in the homes on which we put our name. Walk into any of our model homes and know that what you see there is what you’ll get in yours. Upgrades are available, of course, and guided by the builder new homeowners con be confident that they are getting the maximum value for their investment.